We tell you that 2016 ends up being the year in which more international awards have received NEOLITH®, as Sintered Stone, for the set of its unique technical characteristics. And in particular, for two of its models, NEOLITH® Calacatta and NEOLITH® La Bohème, for perfectly replicating the design of the Carrara marble and the authenticity of the wood, respectively. While the NEOLITH® Polished finish has also been recognized with several distinctions, offering a perfectly linear reflection as well as a high degree of gloss on the surface. 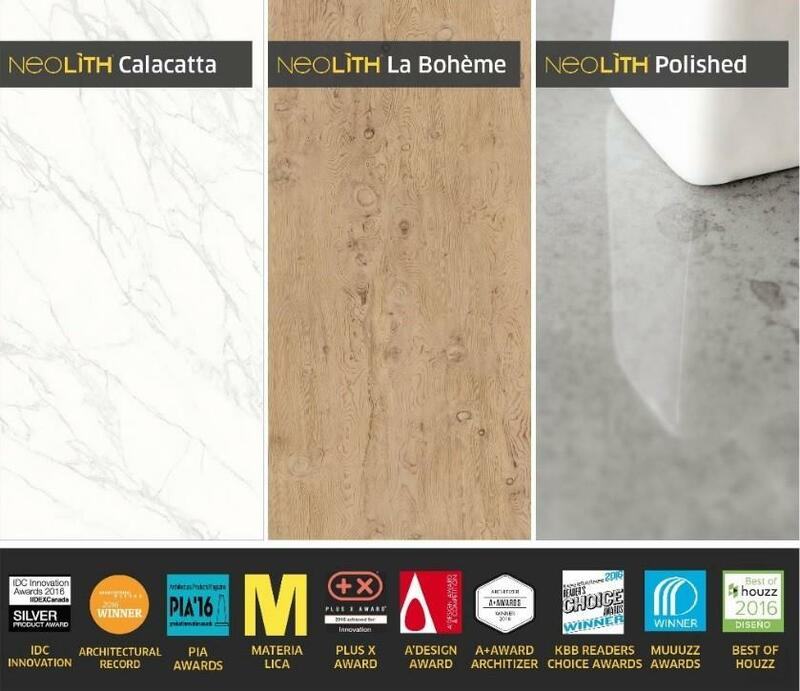 In this way, for the first time NEOLITH®, it receives a total of 10 International Awards in just one year, coming from countries as diverse as: Italy, France, Germany, Spain, USA or Canada.